After KAHP recent snack episode I decided to look in the history of Chocopie the beloved dessert from Korean with its chocolate covered marshmallow sandwiched between two cakes. It was interesting to learn that it was first chocolate pie concept was from “1917 in the American South. Chattanooga Bakery in Chattanooga, Tennessee created the Moon pie with Graham crackers and marshmallow filling which is similar to the Choco Pie of nowadays. I am very skeptical of the Orion history since I am all too familiar with Korean revisionism regarding history. The Moon Pies were an army favorite back in the days of war and with the major influence of G.I.s from the states like SPAM with budaejigae. I’m sure Moon Pies was distributed during the Korean war. Like this article from an old U.S. vet’s blog “During WW II folks would send packages to their deployed family members, fighting in the war. The big problem was sending them to the Pacific theater. In the heat a Marine from Mississippi would have an interesting time trying to eat his Moon Pies, on the sandy beaches of Guadal Canal. But a Moon Pie is a southern delight and I would imagine that Marine was able to adapt, overcome and improvise, to enjoy his treat from home. Anyhow, I’m happy for this snack to make it’s way to Korea. Funny enough it can be used as currency in North Korea. Enjoy. Andrew Lee is named the new crown prince of Korea representing the Royal Korean court. 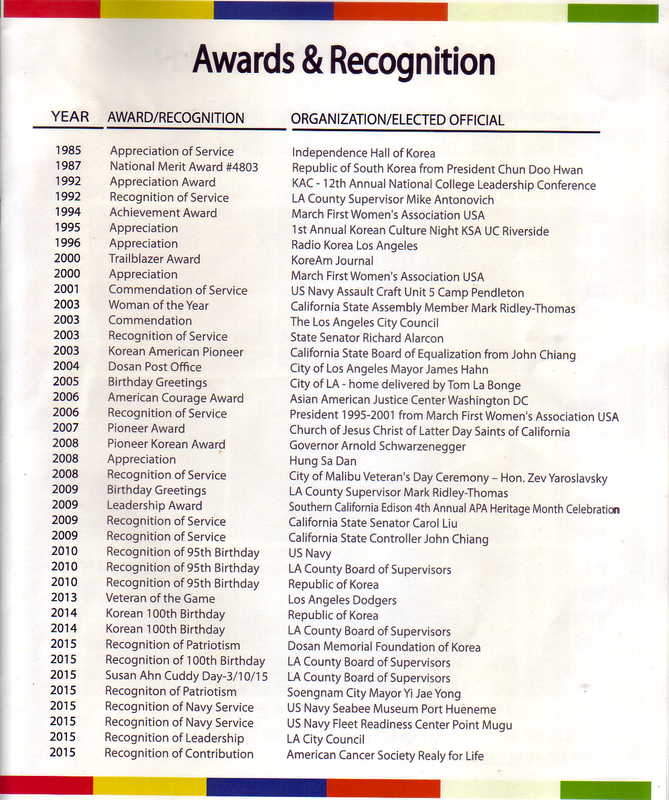 Yi Seok named the prince in Los Angeles and civil leaders were there to honor the occasion. Not sure of any real power they hold but for ceremonial events I’m sure they are utilized. Can the Korean monarchy come back and rule, like how Britain has it with the Crown and Parliamentary system? Even so, will the future Royalty be just as corrupt as their great grandfather King Gojong court? Hence motivating leaders like Dosan Ahn Chang Ho and Seo Jae Pil to call out their corruption. Interesting times. Better late than never I say, I have been wanting to see Searching for sometime. Been a fan of John Cho since Harry and Kumar goes to White Castle days, I still am holding on to a unopened Mr. Sulu toy for John Cho to sign someday. Searching is probably one of my favorite movies that John is starring in. He is becoming the Philip Ahn of my generation (I know that his nephew Flip would not agree but give it sometime I know John will get there soon). I was glad there was no kimchi joke in this movie but really was a reflection of an American-Korean family drama. The visual of utilizing the familiar computer screen and filming the use of the computer and other media devices was executed well. The acting take you on a mystery ride with a WTH NO WAY moment at the end. No wonder this movie is still fresh on Rottentomatoes.com and will stay fresh for a while (don’t be making that kimchi-jigae anytime soon). I highly recommend anyone to go see this movie and support American-Koreans in the entertainment industry. Sorry for the kimchi joke. As a Korean American growing up in the States and attending public school I always tried to find any paragraphs about Korea in my history textbooks. Usually if lucky there was a a page or two about the Korean War. Briefly summarizes the start of it caused by North Korea and how SK+ US troops got pushed back to Pusan, then mentions the MacArthur Incheon Invasion, then later how China got involved and creating the stalemate at the 38th parallel. It is only later in my adult years seeking the truth I come to realize how complex the Korean War actually is. 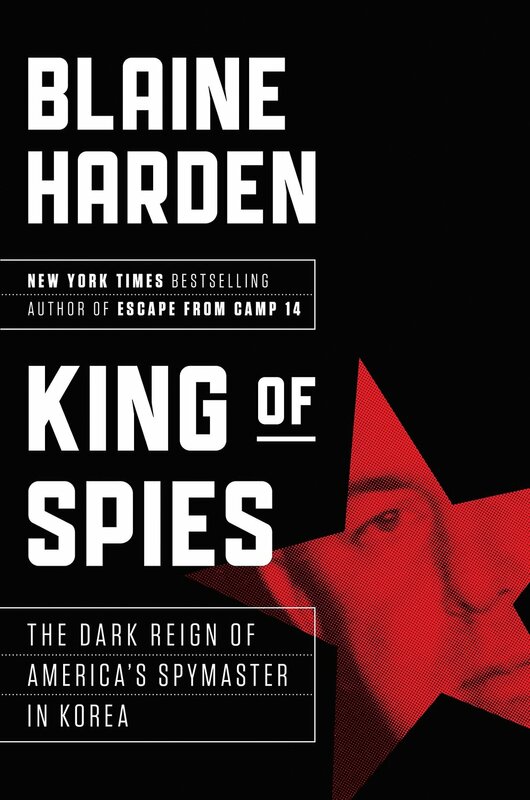 King of Spies is about Donald Nichols, an airman with a sketchy past who found himself to be a major player in the intelligence field in the Korean War. Conducting his own private army of South Korean prisoners, sending them off to suicide missions as he was devouring his Hersey chocolate bars and coke bottles. Just get the book (Amazon link here) and seek the truth for yourself. King of Spies created a lot of "WTF" moments for me, first learning about Donald Nichols, his exploits in the Korean War, his close relationship with SK President Syngman Rhee and the complicit human rights violations he took part in. Not to mention Donald's own illicit sexual activities with minors. Donald is like a metaphor of the Korean War of how complex the situation and character both are and still we are finding new details of the truth. I highly recommend this book be a must read for any educational institution with a Korean Studies program. It will help shed more light of what really happened in the Korean War and help us get to reconciliation towards peace sooner. What other books would you suggest in regards to seeking the truth about the Korean War? KoreanAmericanHeritage.com had the honor of interviewing AZRA check out the podcast here. AZRA just released her music video for her new single "Dimension". She is a pop artist who does it all from singing, dancing, song writing, and performer. She manages her own music label and even wrote a book on the cupcake theory. A talented force to recognize and blazing a trail in the music scene. Learn about her beginnings, inspirations, and musical odyssey. We are honored to have her on our podcast and looking forward to AZRA's future projects.
" Some educators do not believe in spending too much time on the study of history as they think no one has enough time to learn what had happened, what is happening now and what may happen in the future. It would be more profitable to be posted on what is going on at the present and, if he has some spare time, to speculate what will transpire later. Well, they may be right about it, but for myself I still believe in knowing some facts about the past, because the knowledge of the past is often necessary in diagnosing correctly the nature of present conditions and making intelligent prediction of the future. Just looking at things at a close range is apt to make the observer lose the sense of perspective and judgement of proportion. I do not want to spend all my time in the study of history of the dead past but some knowledge of it is essential in the accurate analysis of the situation which confronts us now. When a physician is called in at the time of sickness the most important thing for him to find out is what is causing the trouble so that he may apply the correct treatment. But if he knows something about the past history of the patient he is more apt to formulate the right treatment. For that reason all physicians try to obtain the personal and family history of their patients whenever possible. Diagnoses and treatment of a sick nation require the same logic. No one can restore ailing nations to health unless he understands the history of that nation and what has brought on the present trouble as an immediate cause or excitant. It is also known to all that many sick nations have regained their health and become an active and respected member in the family of nations. Knowing these to be facts no courageous person should get discouraged or disheartened over misfortunes of the country which he loves. Most nations get sick in certain periods of their history, but it is neither necessary nor wise for their people to deem the case hopeless. On the contrary, it is their duty to find out the cause of the trouble and remove it so that the country may be restored to health and vigor. That was my belief and it is my belief today. Perhaps very few men have had as many disappointments and setbacks in life as I have, but I am still hopeful that Korea may rise up again from the ashes as a rejuvenated young old nation. Is history worth learning then? Does Dr. Jaisohn message still apply to today's current events? As July 4th draws nears I remind myself what does this day really mean to me. 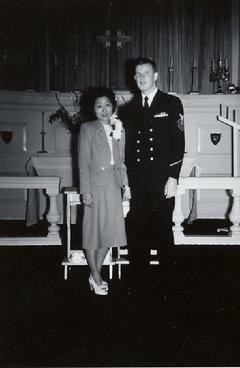 As a Korean American I share a history of people who sought to live freely both in America and Korea. It took an idea that "all men are created equal" and put into action by others who sacrificed before us. Reminding me of the same spirit to fight for independence and self-determination. Hence "life, liberty, and the pursuit of happiness." I want to take this moment to share what Seo Jai-Pil aka Philip Jaisohn wrote to the second generation of Korean Americans back in February 23, 1939 in an article on The New Korea. In many ways the poorest American enjoys more privileges and luxuries than the riches Korean. He can send his children to find schools. He is protected from fire, pestilence, and robbery. Hospital service is at his command for asking, public parks are open to him, his rights as a citizen are respected by all, his personal liberty, and social security of his home and family is just as zealously guarded by the police and courts of his community as those of his millionaire neighbor. There is no legal of social barrier for him to rise up to any high level in society to which he may aspire. In this age of dictatorships in many parts of the world where people are gradually losing their freedom, those of us living in America should be thankful. What are you creating? Happy Independence Day. Happy Korean American Day! On June 19th 1888 Philip Jaisohn (Seo Jae Pil, 서재필) "received his United States citizenship certificate, becoming the first Korean to be naturalized as an American." The First Korean-American- A forgotten Hero Philip Jaisohn by Channing Liem pg. 109. To learn more about Philip listen to our podcast here.